Elizabeth Warren went to Puerto Rico to do what President Trump has failed to: listen, learn, and advocate. 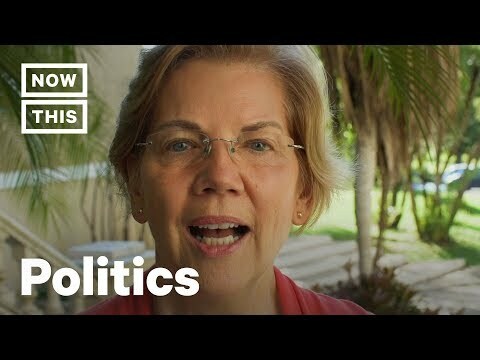 Senator Elizabeth Warren recently made a trip to Puerto Rico to visit the country a year and a half after Hurricane Maria and also talk to Puerto Rican students. The Puerto Rico debt crisis was top of mind for Senator Warren as she heard from students at the University of Puerto Rico in San Juan Puerto Rico. The Elizabeth Warren 2020 campaign is in full swing, and though Puerto Rico can't vote in the general Unites States presidential election, it does vote in the Democratic primary. Sen. Elizabeth Warren is hoping this campaign time will be valuable come voting time. The 2020 presidential election is already heating up. If Warren wins she'll go up against Donald Trump in the 2020 election. President Trump will be seeking reelection.